Pale straw color. 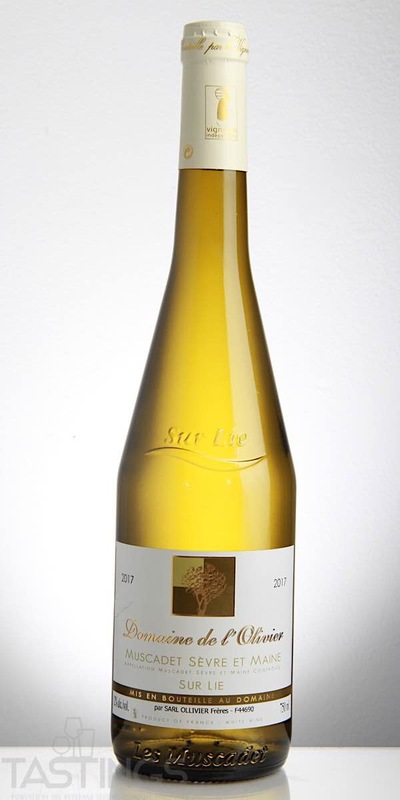 Inviting aromas and flavors of underripe apricot, bananas on toasted challah, jasmine, honey butter, and meyer lemon with a satiny, vibrant, dry light body and a smooth, interesting, medium-length finish revealing elements of crushed minerals. A delicious Muscadet with crisp minerality and plenty of toasty, leesy notes. Bottom Line: A delicious Muscadet with crisp minerality and plenty of toasty, leesy notes. 89 • Domaine de l’Olivier 2017 Muscadet Sèvre et Maine Sur Lie 12% (France) $14.00. 87 • Domaine des Amoureaux 2017 Muscadet Sèvre et Maine sur Lie 12% (France) $15.00. Other French white cover a broad spectrum, from inexpensive country wines to magnificent white wines from Burgundy. 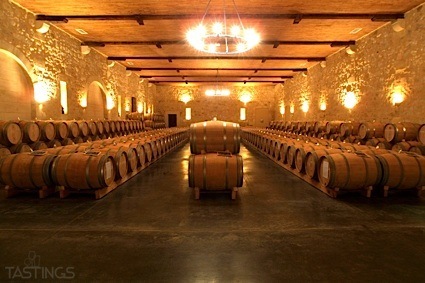 White wine is produced in many regions of France; along with Alsace and the Loire Valley, there are many fine whites in Bordeaux, dry, earthy whites made from Sauvignon Blanc and Semillon, while Burgundy captures the Chardonnay variety like nowhere else on earth; top wines here include Corton-Charlemagne and Chassagne-Montrachet, two 100% Chardonnays that can age for three or four decades from the finest producers in the finest years. More humble French whites include Vin de Pays d'Oc and Coteaux de Languedoc from the south. Made from varieties such as Viognier, Sauvignon Blanc and Chardonnay, these are everyday. earthy wines to be consumed fresh with simple chicken or seafood preparations. Domaine de l’Olivier 2017 Muscadet Sèvre et Maine Sur Lie rating was calculated by tastings.com to be 89 points out of 100 on 5/9/2018. Please note that MSRP may have changed since the date of our review.